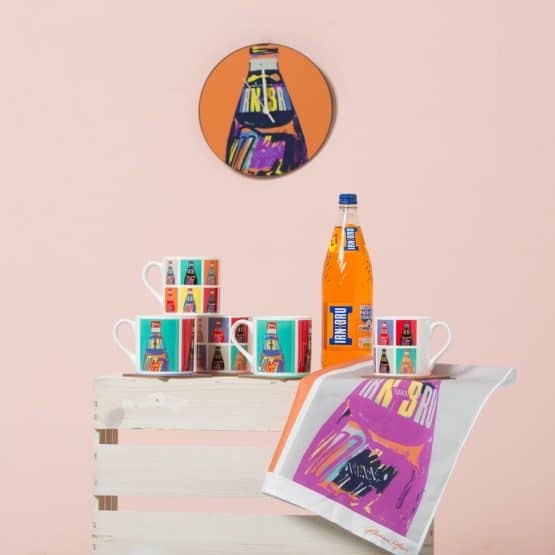 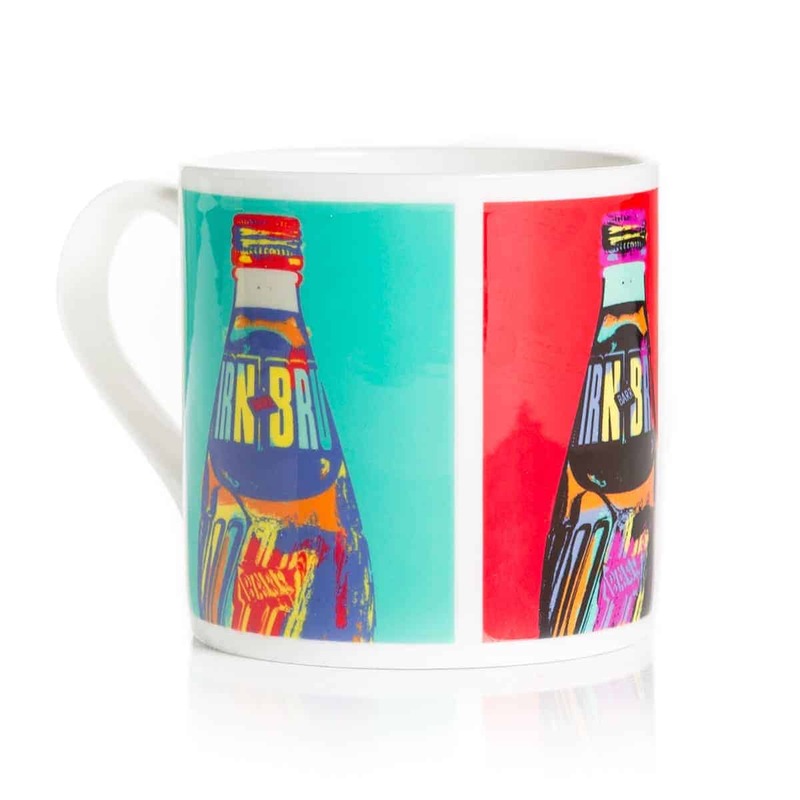 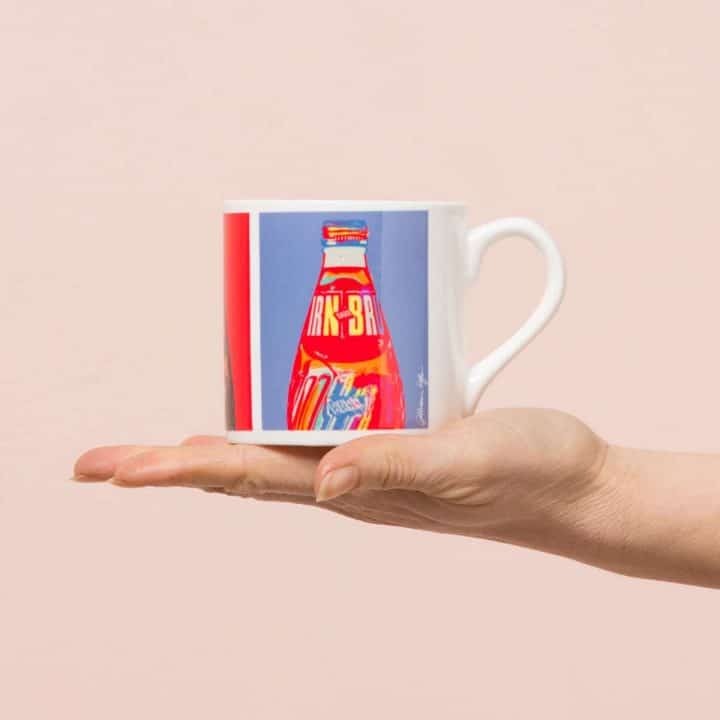 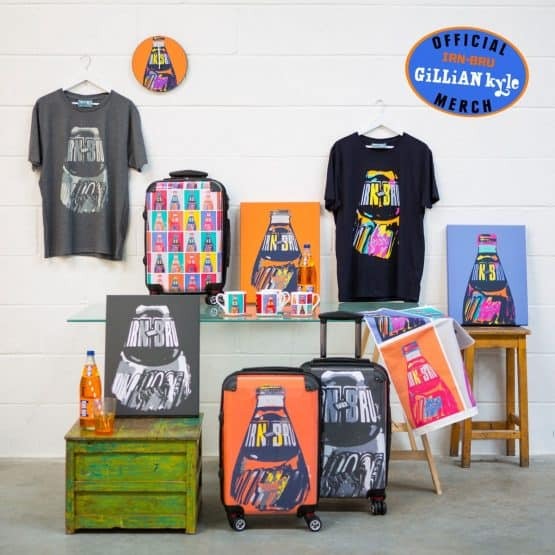 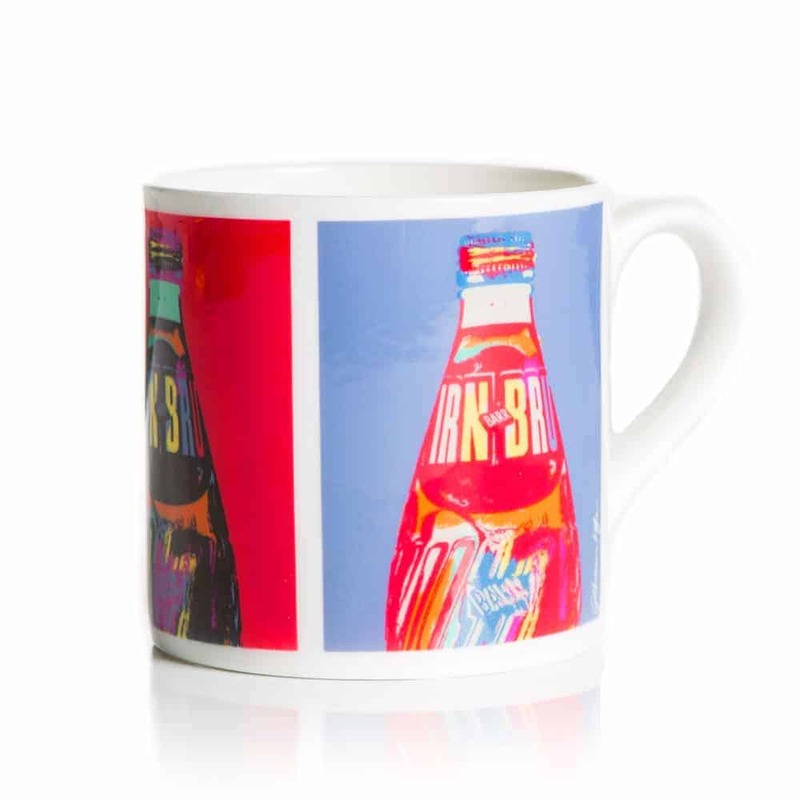 Inspired by the iconic vintage IRN-BRU glass bottle, Andy Warhol and the vibrancy of the ’60s pop art movement, our POP! 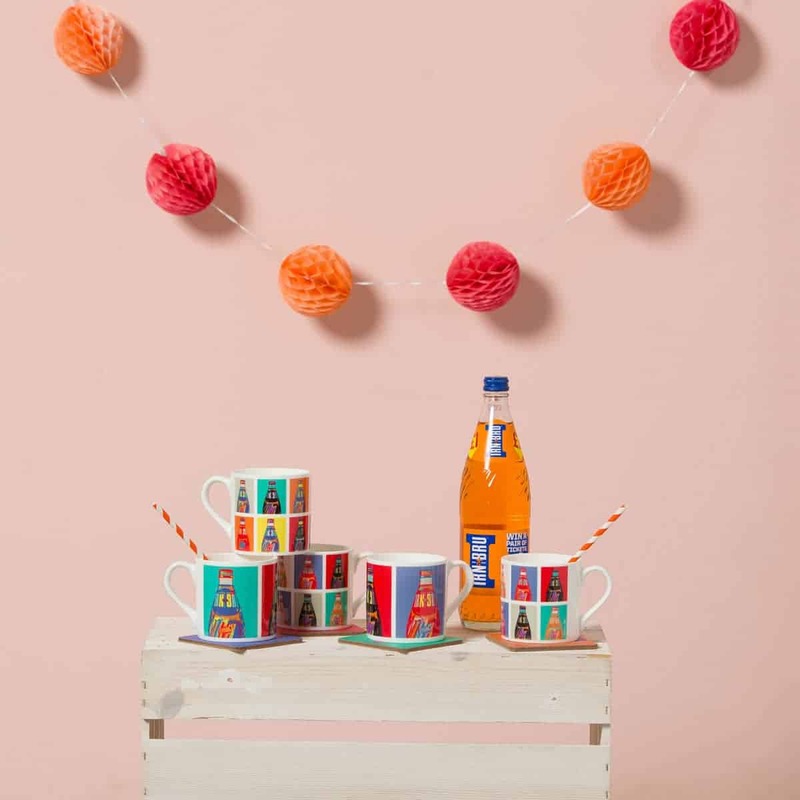 range is guaranteed to brighten up even the dullest of winter’s days. 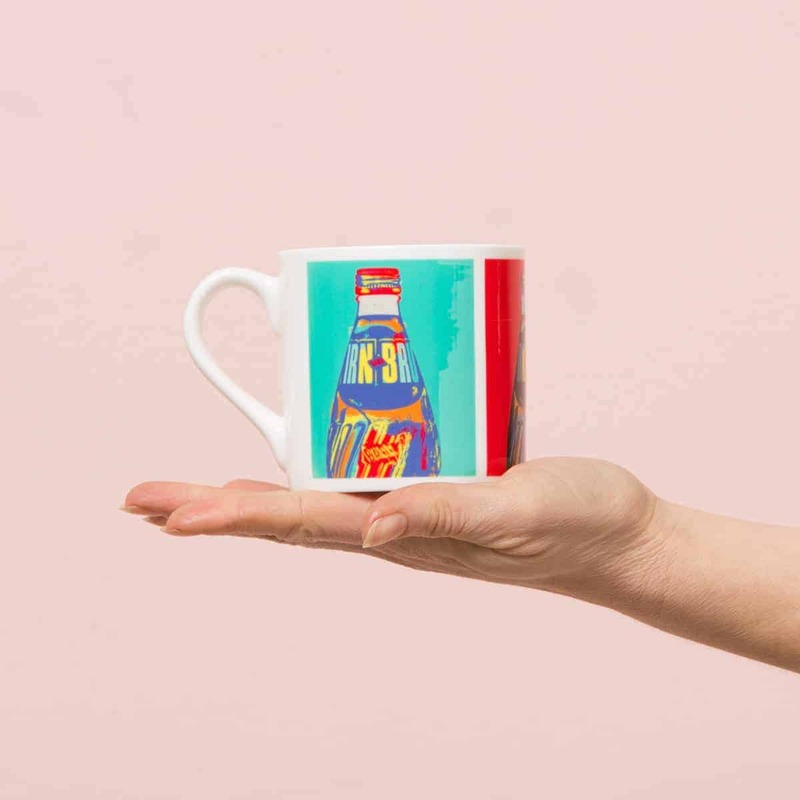 This sturdy and colourful china mug is sure to be your new fave. 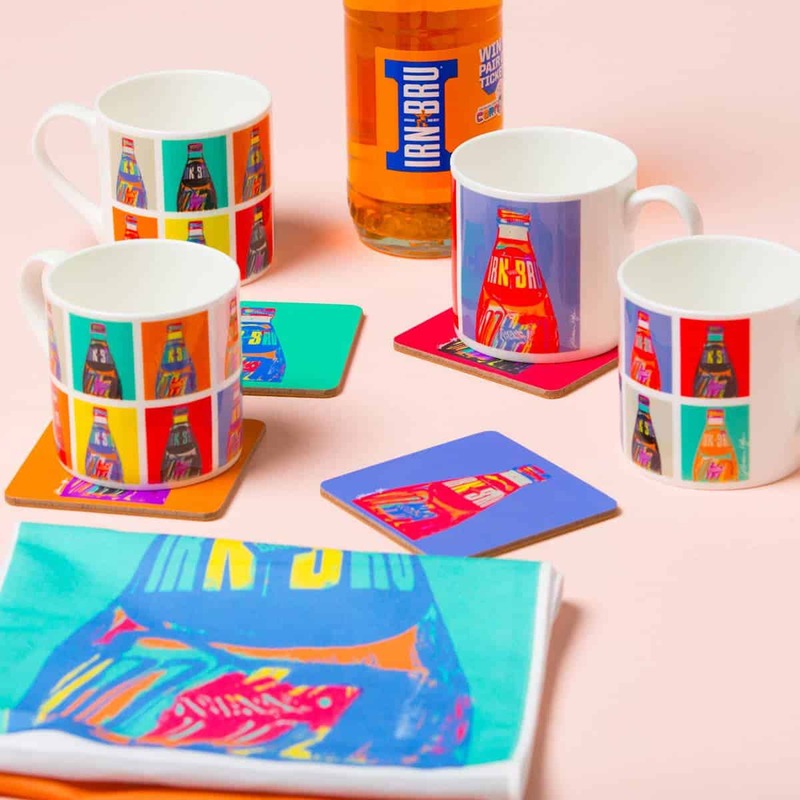 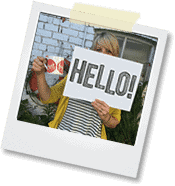 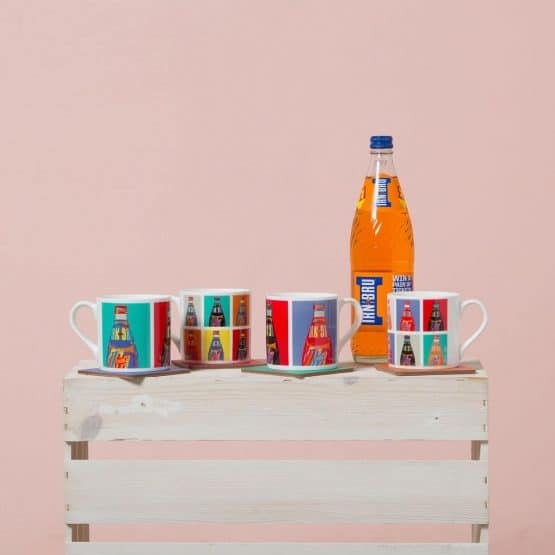 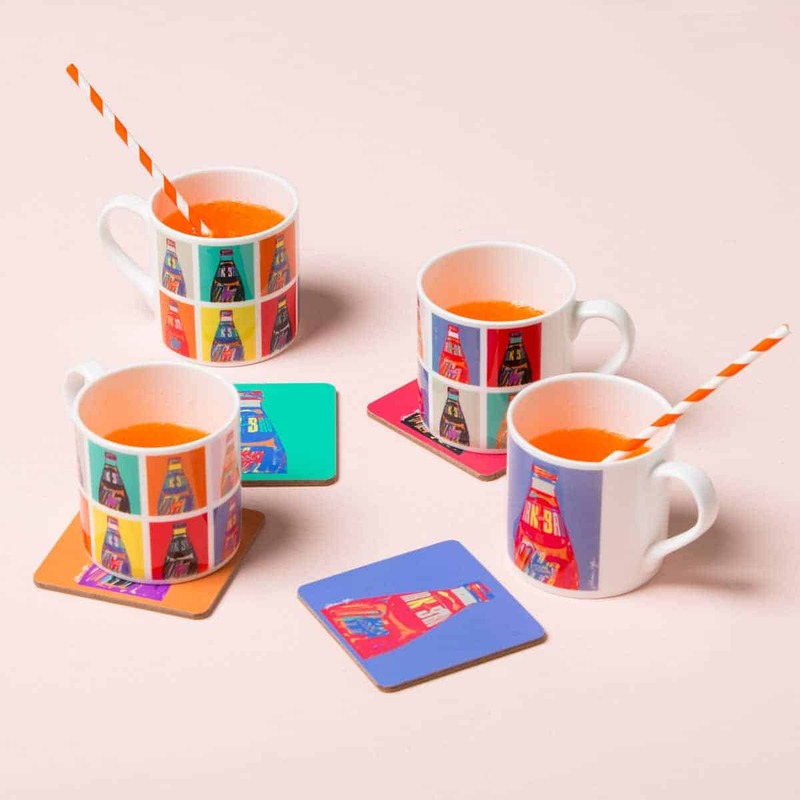 Check out the rest of our mugs, cups and coasters here… and the rest of the IRN-BRU POP! range here. Large china mug measuring 8.8 cm in width and 8.8 cm in height. To protect your china its always best to hand wash.